Who’s up for some adventure? 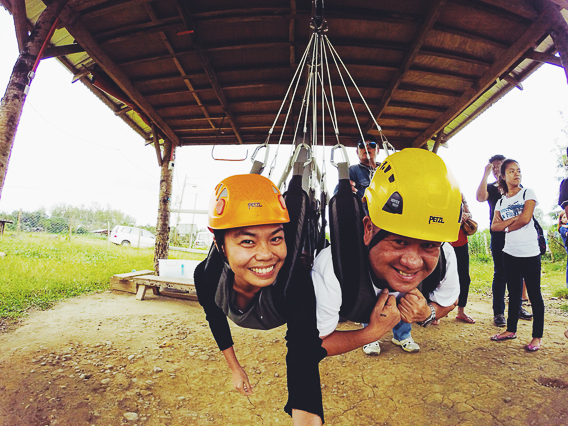 Prepare to face your fears and conquer the highest and longest zipline in the Philippines. 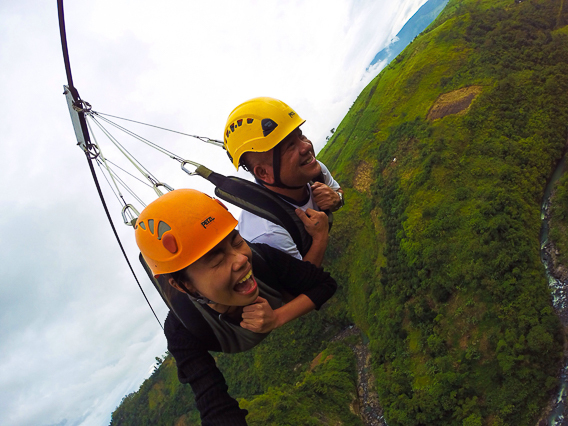 Everest Zipline is situated at Don Salvador Benedicto, Negros Occidental which is regarded as one of the coolest places in the country. 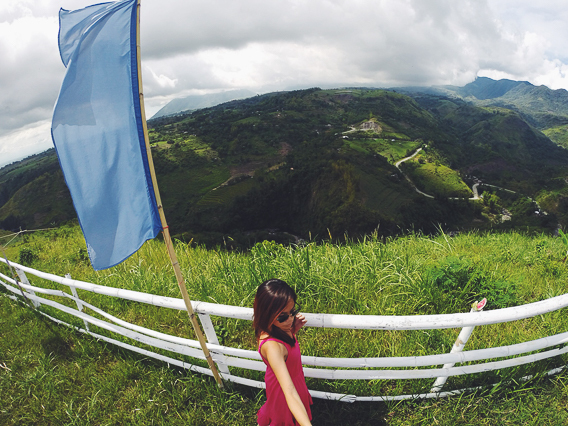 It takes about an hour from Bacolod City to get there. The place was built by the group who ventured into the Mt. Everest Expedition Team which is where the zipline got its name from. 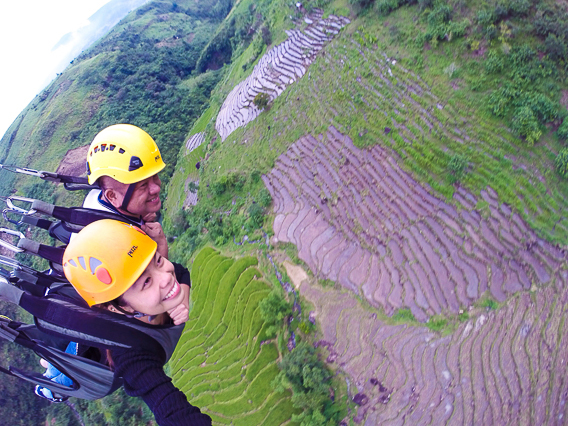 The zipline is suspended at about 1000 feet above the ground and the one way route extends for one kilometer. At first I was really scared. I mean who wouldn’t? But you know you just have to be tough enough and do what you’ve always wanted to do which is to live young, wild and free. This place will make you forget all your worries. Don’t you just love the view? 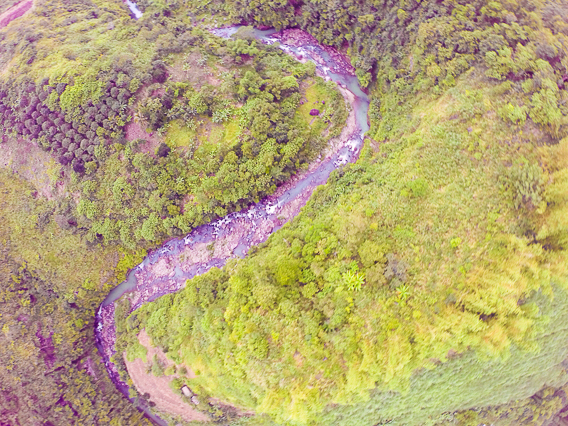 You can see the winding roads, rivers and rice terraces. This scene just makes me forget that I’m 1000 ft above. If you’re still scared after a few seconds, you just have to shout at the top of your lungs. Time for some selfie. For the whole time, I’ve been maintaing a hard grip with my gopro. The wind was just too strong, I might have dropped my camera and never find it again. hahah! We were able to get onto the other side for about a minute and 20 seconds. Another one off my bucketlist! You can go back to the venue and just enjoy the view while having coffee at their restaurant. Ceres Bus from Bacolod South Terminal to San Carlos: Everest Zipline is located along the highway, just tell the conductor to drop you off at the entrance. You need to walk about 100 meters to get to the area. If you’re underweight, you have to have a partner. If you don’t have and still go through with it, you might get stranded in the middle. It’s your call. 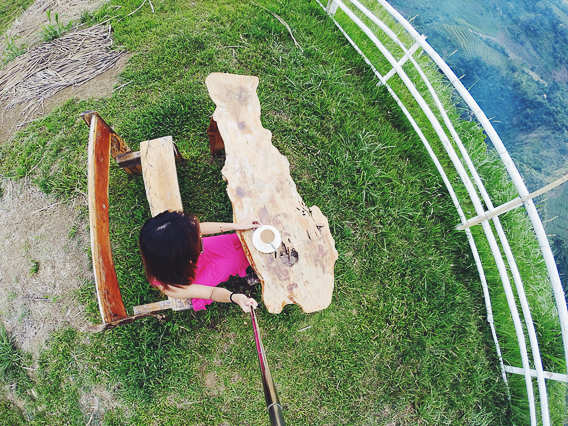 If you’ll use monopods, make sure to have a leash to make you camera secured. For those using gopros, if you have mounts for the helmet, you can bring them to get better shots since the place doesn’t have one. If you wish to have lunch there, you can but you have to call beforehand and make reservations. Do they have a transfer service for your bags to be delivered from Point A to Point B or do you have to go back to Point A to get your packs? hello i would like to Ask If there is any Bus Pass There in Everest , Don Salvador Going back to Bacolod City? 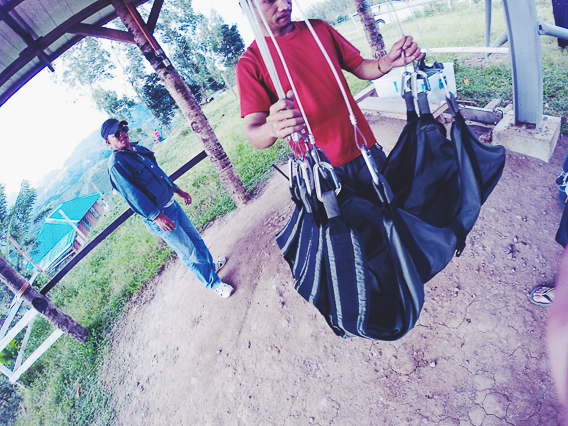 there is 2 different ways to ride a zip-line. 2. on your belly, like superman position. Does anyone know if you can sit and ride this zip-line? is there any contact information for this place? 1. I’m not sure if they allow a sitting position. I will try to ask and will update you about it because most of the photos I see online are in Superman position. how many hours is this from Bacolod? I was surprised to visit this amazing castle at the right time when the red tulips are in full bloom. Plus, there was a medieval event in which it looked like Tudors or Reign IRL. I'm in love. ❤️❤️❤️ 👈🏻 Swipe left to see one of the amazing gardens in the castle grounds.